For as long as I can remember from my days of flea market bargain hunting, Chinese produced electronics are some of the cheapest equipment money can buy. Whether it’s a 58-sound M16 toy assault rifle or a new sensational superhero team like the Sense of Right Alliance, Chinese products appear “creative”, but they continue to get ridiculed for their terrible quality. I thought it would be the same old story when I was handed the MotoSpeed CK108 mechanical keyboard, but surprisingly, I was wrong. From the outside packaging alone, the Motospeed CK108 has a distinct look of quality like other, more reputable brand names on the market. Opening it up reveals the RGB mechanical keyboard, perfectly intact without a single keycap broken or misplaced. 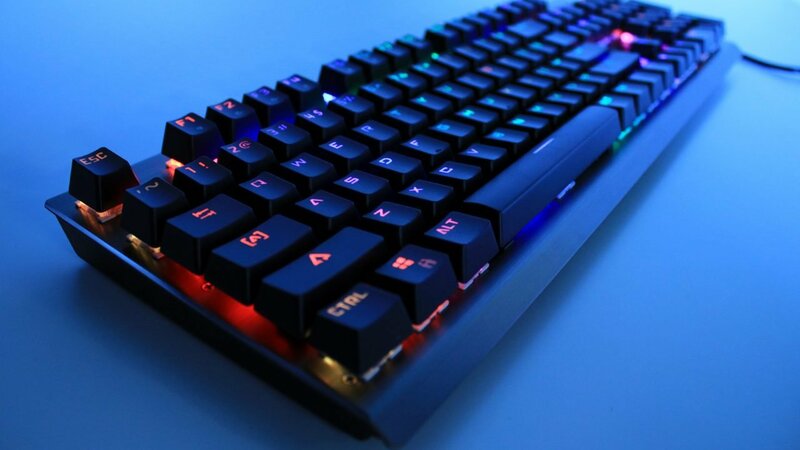 The design looks similar to my beloved Corsair K70 due to its brushed aluminum body and black keycaps, just without the inclusion of any multi-media buttons. This isn’t a sour note though, because the board can perform all of those missing features as function keys instead. Overall, a very solid constructed body for the keyboard to build off of. The distinct difference between the Chinese Motospeed CK108 and a North American K70 are the keys and how they are spaced. If you’re a person who feels like their hands have to be widely spread to type or game then you will probably prefer the CK108 because it has the most compact spacing I’ve seen on a keyboard to date. It definitely took some time to adjust to as I’m used to wider layouts, but my fingers never felt uncomfortable or starved for space. While the keys feel like Cherry MX blues and they sound like Cherry MX blues, they are in fact Gateron blue switches, an off-brand version of what most enthusiasts expect out of their mechanical keyboards. Despite the different branding, these switches still perform exactly like their Cherry MX counterparts and I couldn’t feel any distinct quality difference between them. Another point scored for a keyboard I was sure would not impress me in the slightest. Now for some of the gripes. 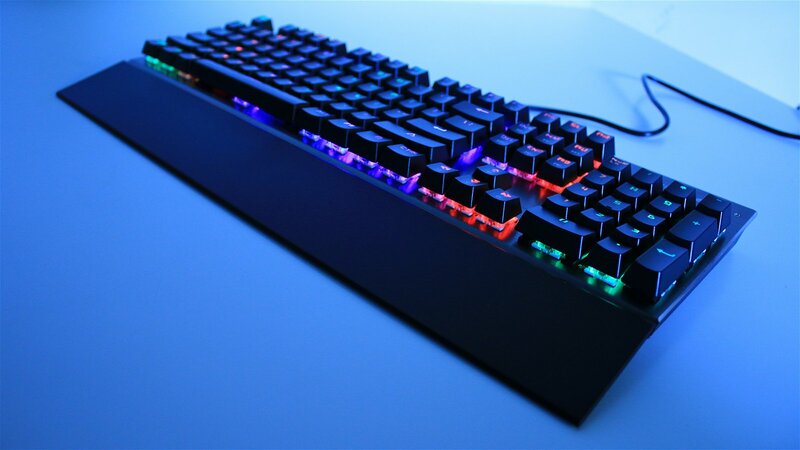 While the CK108 is a keyboard that features great RGB illumination, it will be incredibly hard for users to actually take advantage of the board’s 16.8 million colour range due to bad driver support from Motospeed. On the main site I couldn’t even find the Motospeed CK108 because it was mislabeled as a different keyboard entirely. After downloading a sketchy zip file and attempting to use the embedded software, I received nothing but errors. Using similar software for a different RGB board yielded the same results. Which leaves me to continue the review with only the colours and effects the board supports the moment you plug it in. 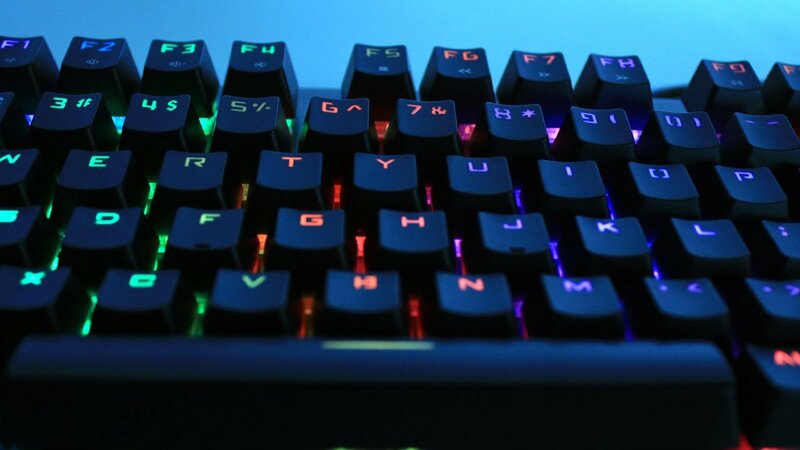 Each one of the supposedly programmable macro keys functions as three different-coloured effect keys, offering a grand total of 18 different effects for users to play with. The Motospeed CK108 is truly for people who love to party. Whether it’s different styled waves or shifting colours, the Motospeed CK108 does them all, it’s just limited in the colours it can display. Most of the best effects use the same dull gold colour, but it’s still nice that you can change the effects on the fly with a simple key press. For about $70 USD, the Motospeed CK108 mechanical keyboard offers almost the same build quality and features as reputable brand names, like Corsair, for a fraction of the price. 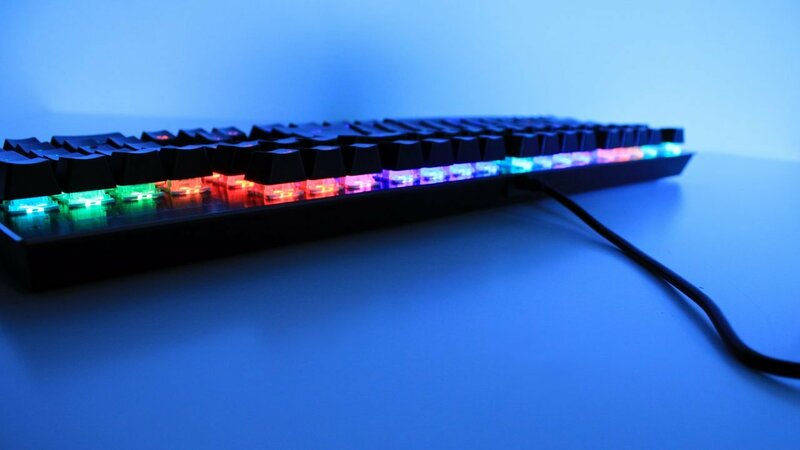 If you’re a user who hasn’t experienced an RGB board because they always seem so expensive, or you want something that’s a better bang for your buck, the CK108 is definitely a top contender to consider when you make your next online purchase. Hopefully the driver issues will be sorted out promptly, but even if they aren’t I had some genuine fun with all of the on-board effects the board features despite the lack of colour choice. The CK108 can be purchased from gearbest.com or other online retailers. 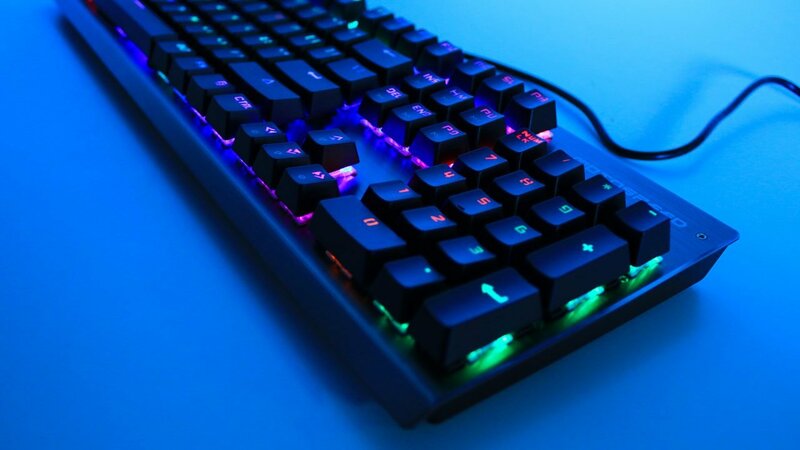 The Motospeed CK108 mechanical keyboard offers almost the same build quality and features as reputable brand names, for just a fraction of the price.